"On the evening of Friday, February 12, 1875, at twenty minutes past ten o'clock, one of the most brilliant meteors, of modern times illuminated the entire State of Iowa, and adjacent parts of the States of Missouri, Illinois, Wisconsin, and Minnesota. The southeastern portion of Iowa was bright as day, while the great meteor, in descending to the earth, passed from Appanoose County to Iowa County. The meteor, in rapidly moving through the atmosphere, produced a great variety of sounds—rolling, rumbling, and detonations of fearful intensity—which in a large portion of Iowa County shook the houses as if moved by an earthquake." The Great Iowa Meteor, Gustav Hinrichs, Popular Science Monthly ,Volume 7 September 1875. 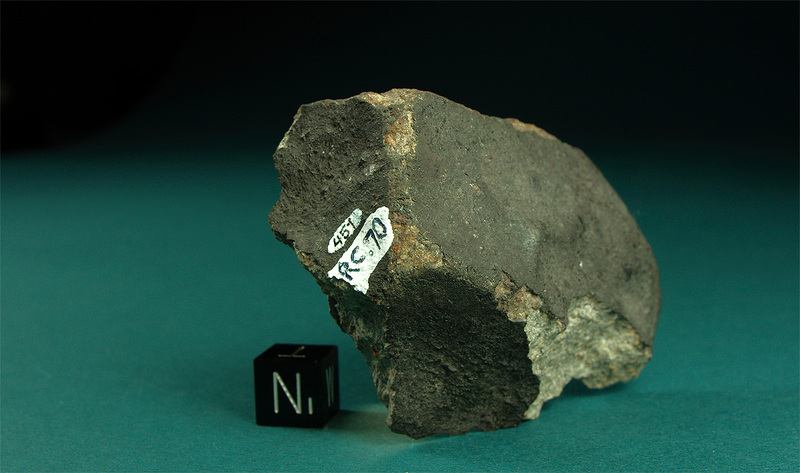 This collection sample is a pristine fragment with six surfaces, four of which are coated with fresh fusion crust. “On the evening of Friday, February 12, 1875, at twenty minutes past ten o’clock, one of the most brilliant meteors, of modern times illuminated the entire State of Iowa, and adjacent parts of the States of Missouri, Illinois, Wisconsin, and Minnesota. The southeastern portion of Iowa was bright as day, while the great meteor, in descending to the earth, passed from Appanoose County to Iowa County. The meteor, in rapidly moving through the atmosphere, produced a great variety of sounds—rolling, rumbling, and detonations of fearful intensity—which in a large portion of Iowa County shook the houses as if moved by an earthquake.” The Great Iowa Meteor, Gustav Hinrichs, Popular Science Monthly ,Volume 7 September 1875. 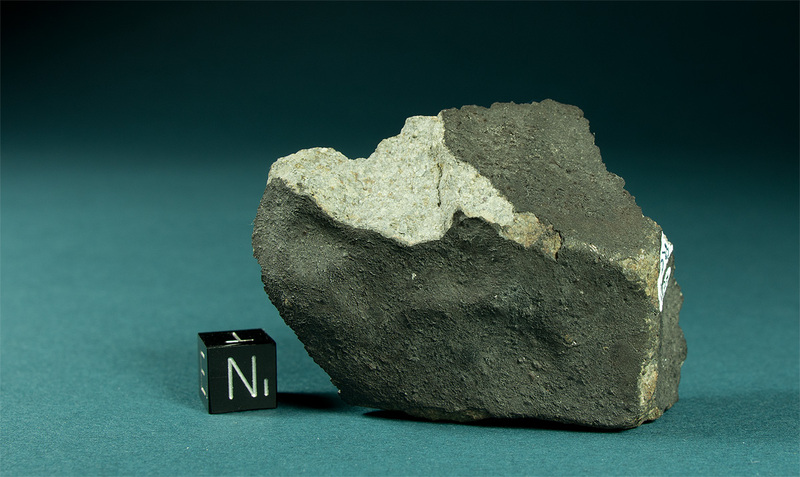 This collection sample is a pristine fragment with six surfaces, four of which are coated with fresh fusion crust.